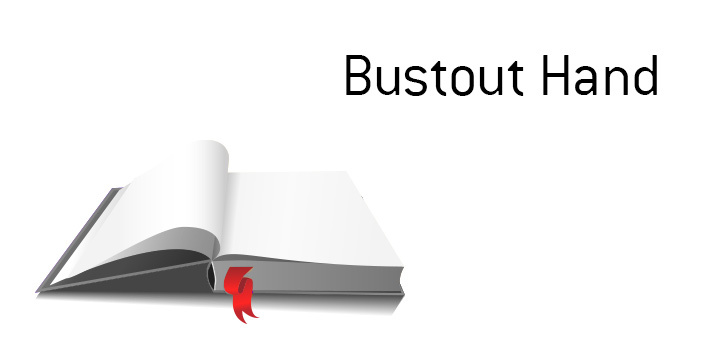 What does the term "Bustout hand" mean in the world of poker? What is the definition of the term "bustout hand"? In poker, a "bustout hand" is a hand that ends a player's tournament. For instance - let's say that you are playing in a multi-table tournament at your local casino. You are short-stacked and decide to push all-in pre-flop holding pocket Fours. Action folds around to the BB, who has you covered. The BB takes a quick look at their cards and elects to make the call. It's bad news for you, as the BB turns over pocket Aces. You don't receive any help and bust out of the tournament before the money bubble. This 44 vs AA hand would be your "bustout hand" from the tournament, as it was the hand that was your last before you were eliminated. The only way to avoid a "bustout hand" is to win a tournament outright.